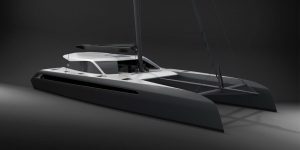 The Gunboat 68 is the new Gunboat currently in production and is the culmination of 15 years of development within the fleet. The design was first revealed back in October 2016 and Hall Spars are excited to be a part of this project providing the mast and boom for the first yacht in production! 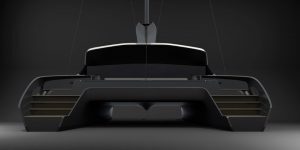 The new yacht has a firm focus on lightweight performance, which extends beyond her all-carbon composite construction hull and Hall Spars rig, to her high-end designed interior. The Hall Spars mast, available at 25m or 29m as a regatta rig option, is located further aft combined with an increased beam. This offers a higher safety margin and increased performance. The Hall Spar spar for boat #1 is already in production with the launch date towards the end of 2018.